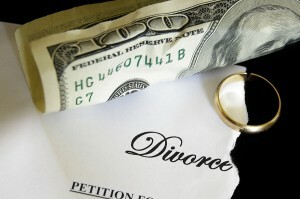 Home > Blog > Will I Lose my 401(K) if I Divorce My Spouse? “Will I lose my 401(k) if I divorce my spouse?” This is the most common question divorce lawyers hear once the child-related questions are answered. Unfortunately, there is no simple answer. In a nutshell – the value of the 401(k) will be considered in a final division of the marital estate regardless of who actually receives it in the end. Pursuant to Indiana Code 31-15-7-4, the court must divide every asset of the parties regardless of whether it was owned by either spouse before the marriage, acquired by either spouse in his or her own right after the marriage but before final separation of the parties, or acquired by their joint efforts. In other words, every debt and every asset that existed on the date of filing for divorce, must be included in the marital “pot” and must be divided in a fair and equitable manner either by the court or by agreement. Further, pursuant to this statute, the court must “presume” that a 50/50 division of the marital pot is a fair and equitable division. But that is just the starting point! A party may rebut the presumption in favor of a 50/50 division based on the unique circumstances of his or her case. Let’s look at two very different circumstances and the outcomes for each. 1. Mary and John. Mary worked throughout the marriage and contributed significant sums of money to her 401(k), now worth $200,000.00. She will owe taxes of approximately $24,000 when she withdraws that money, so the post-tax value is roughly $176,000. She also saved what she could over the years and had $74,000.00 in her own savings account. This is post-tax money. The total post-tax value of both accounts, therefore, is $250,000.00. Mary is concerned that she will have to give John half of her hard-earned money in the event of a divorce. John also worked throughout the marriage, earning slightly more than Mary, and virtually all of his income was used to pay the day to day expenses for the family. He also paid for the luxuries the family enjoyed such as vacations to exotic countries, horse-back riding lessons for their daughter, and travel soccer expenses for their son. The parties own a home with equity of $250,000.00. No taxes would have been owed on that real estate if it had been sold on the date of filing. John wants to keep the home but he’s worried that he will have to take out an additional mortgage in order to pay Mary her half of the equity. This is an easy one. These circumstances lend themselves to a 50/50 division of the marital estate. The argument for a 50/50 division is that both parties contributed to the total value of the marital estate – Mary to the savings, which the parties would enjoy in their later years, and John to the family’s high standard of living. The dilemma is that John can enjoy the marital residence right now while Mary cannot enjoy her 401(k) until she turns at least 59 ½ years old. In order for each party to have equal access to the liquid assets in the marital estate, then, the parties would have to divide the 401(k) equally, divide the savings equally,sell the house and share the proceeds equally (or John would have to take out a mortgage in order to pay Mary her share of the equity). However, if the $74,000 savings is enough cash for Mary to purchase a new home and to keep the mortgage payments within her budget, the solution that addresses both parties’ original concerns would be for Mary to keep the 401(k) and savings while John keeps the home. So – the answer to Mary’s question is “no – you don’t have to lose your 401(k) if you divorce your husband.” However, you must include it in the marital pot and you must divide that pot in a fair and equitable manner. Parties who collaborate towards a fair and equitable outcome that addresses each parties’ concerns have the added benefit of keeping attorney fees low and preserving more of the marital estate for the parties and their children. 2. Susan and Alex. Alex had a 401(k) worth $200,000.00 when he married Susan and contributed an additional $100,000 after the marriage. Susan had a 401(k) worth $50,000.00 when she married Alex, made no further contributions afterwards, and withdrew the money to pay for a late honeymoon trip to Europe. By the time taxes and penalties were removed, Susan’s $50,000 had been reduced to $35,000.00. There was no prenuptial agreement. Susan and Alex were married for 3 years and had no children together. Susan gave up a good job and stayed home to care for her two children from a prior marriage.Susan also entertained Alex’s client’s at home and otherwise helped Alex grow his clientele during the years she did not work. Assuming that Husband’s 401(k) is the only marital asset to be divided, the question of “how” is not so easy! Pursuant to I.C. 31-15-7-4, Husband’s entire 401(k) must be included in the marital pot even though most of it was earned prior to the marriage. Susan’s pre-marriage 401(k) does NOT go in the pot because it no longer existed on the date of filing for divorce. However, a court may consider all the factors involved in this case in order to decide an equitable way to divide Husband’s 401(k). Husband earned $100,000 of the 401(k) during the marriage. In a real life scenario similar to this one, the parties agreed that Alex would pay Susan the sum of $150,000.00, which is 50% of the entire 401(k). This agreement acknowledged the fact that Susan helped Alex grow his business during the three years they were married, the fact that she would be starting over once she found new employment, the fact that she made less money that Alex, the fact that she would not be able to replace the $50,000 she spent on the couple, and the fact that Susan received the benefit of staying home with her children. Could a court have awarded Susan a lesser amount? Yes, indeed! However, Alex was concerned that his attorney fees would cost more than the additional money he agreed to pay Susan. He was also concerned that he might be ordered to pay some of Susan’s attorney fees because of the disparity of income between the parties. So – the agreement benefited both parties. The important thing is that Susan and Alex both felt that their negotiated agreement was fair and equitable and that they both saved face and money by not litigating these matters in a public forum. Carol offers free consultations and will schedule flexible appointments in order to accommodate your work schedule. Schedule your FREE consultation today.